I hope to see you over at my YouTube channel today at 3pm MST...and hey if there is anything you ever want to see let me know. As I told you yesterday I will share my Teach Me Tuesdays with Diana Gibbs today. I show you the swap from my team Christmas party, our make n take, and I will show you the amazing new Rectangle Stitched Framelits that are coming!!!!!! Fun eh? Don't want to wait until January 5th to get your framelits? Join my team today and get them in your starter kit. 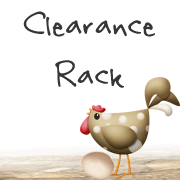 Clearance Rack Updated - Up to 60% off While Supplies Last! We had our Di's Country INKers team Christmas party this weekend and we had so much fun. Here is the room before everyone got here. I got a gingerbread house for each table and the girls could decorate them. The pizza place does not open till 11, so this was fun to do while we waited for the pizzas and salad. Here are some of the girls with their house. Left to right back row: Jacque, Carol, Ruth, Mari..front row: April and Jean. The houses turned out so cute and it was fun to watch the girls decorate them. Mari even took theirs home to put up at home. After we filled our faces with pizza and salads...and that Christmas crack stuff (that everyone could not get enough of). I had them make a cute little ornament. It was part of my Teach Me Tuesdays with Diana Gibbs video this week. I will share it tomorrow...unless you subscribe to my YouTube channel and you saw it already. Ha! Tuesday was my second Teach Me Tuesdays episode, this one I did directly on YouTube instead of FaceBook and then uploading to YouTube. I am still undecided if I do one or the other, or keep switching them around. Are you going to make a couple? I know we went to eat at our favorite Mexican restaurant tonight, and I gave this to our favorite waitress, and she loved it.